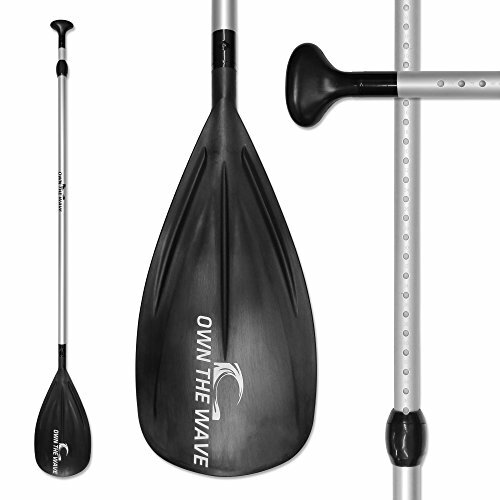 The Own the Wave Adjustable Alloy SUP Paddle (2-Piece / 3-Piece) delivers a strong aluminum shaft, a durable nylon composite blade, and a super comfortable ergonomically designed handle. It is super light and is built to deliver years of fun; plus, you have the option to choose the blade accent’s color. All of that at a brilliant price! 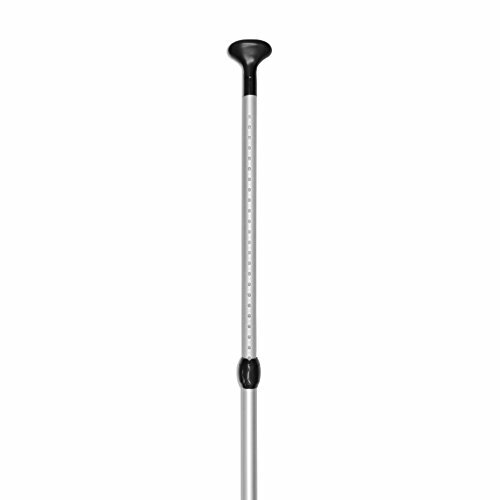 Please click the drop-down to see the length and weight details. 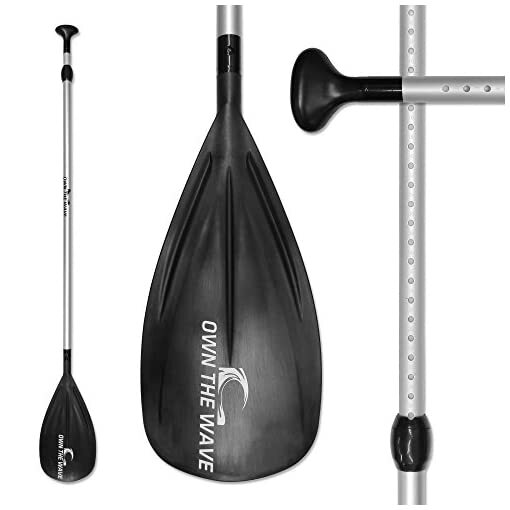 This paddle easily adjusts by popping out the paddle clip and the height range is simply huge – to suit almost all paddlers. Aside from being light and durable, it can adjust more than most other paddles. 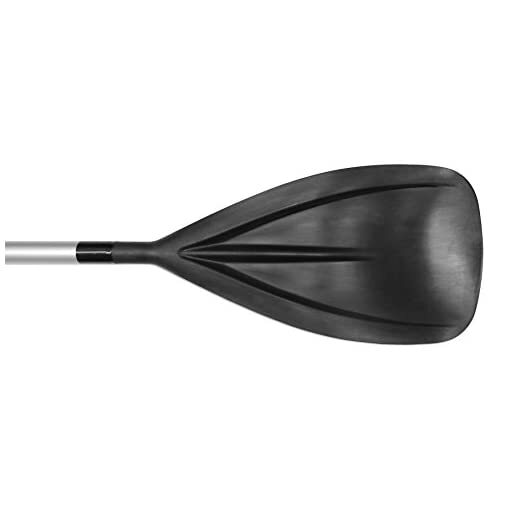 The lightweight really reduces paddler fatigue and makes it easy for virtually anyone to use – important when being used by children or lighter adults (in which paddle weight really matters). It takes just seconds to assemble or break down for more convenient storage/transport – excellent for going in the back of vehicles. Every buyer will be emailed a photographic e-guide, written by an experienced paddle boarder to introduce you more to this product. It is guaranteed to float in both salt and fresh water when the parts are together – we always recommend buying a paddle that floats. 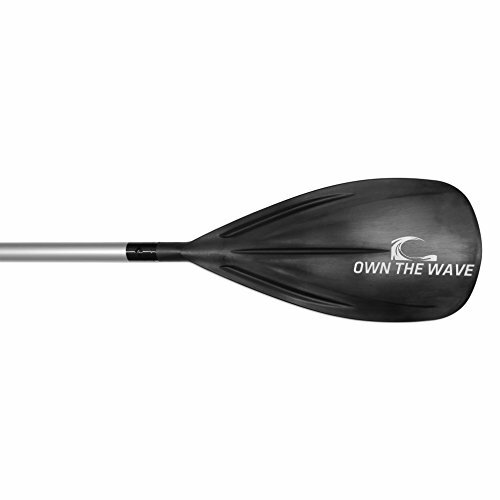 Easily adjustable SUP paddles from Own the Wave deliver a sturdy but lightweight alloy shaft, a nylon composite blade, and a super comfortable ergonomically designed handle. Paddles are available in 2 Piece and 3 Piece at a brilliant price. They can be easily adjusted by popping out the paddle clip (check the photo). 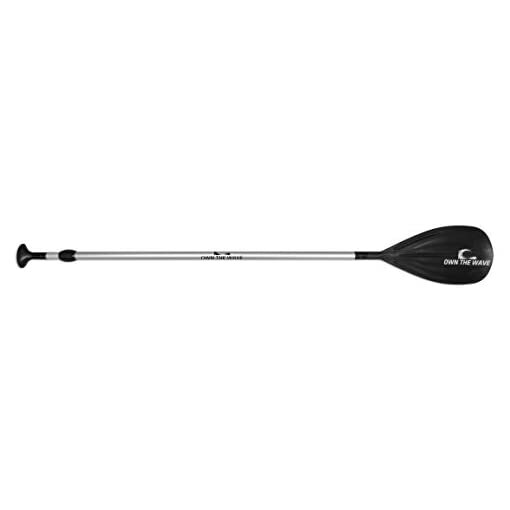 The light weight really reduces paddler fatigue and makes it easy for virtually anyone to use – important when being used by children or lighter adults – when paddle weight really matters. 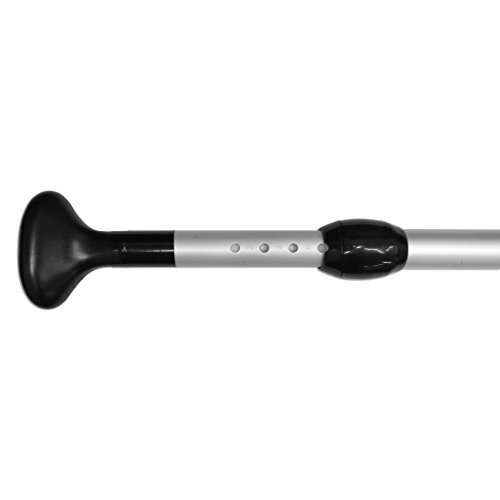 It is super durable and built to deliver years of fun and is guaranteed to float for 12 MONTHS. Just click your preferred piece to know the height range of the paddle. Buy with complete confidence as these paddles have been developed and thoroughly tested by Own the Wave. Paddles are stored and shipped (quickly and reliably) to you by Amazon in the US, and have a ‘no questions’ guarantee for 12 MONTHS – if you are not 100% satisfied with your purchase – it will be replaced or you’ll be refunded. Thanks for looking at a product from our store – SURF and SNOW Warehouse. We are a small family business that ONLY sells what we know and love – water sports gear. We know our products, use our products, and stand behind them 100% – So if you have any questions about using any of our products please just ask. Thanks!